SLA1156 Features: -Threaded insert terminal. -Insert with bolt replaces flag. -SLA or VRLA valve regulated S. -Lead acid - AGM. For Use With: -Wheelchair/Scooter. Product Type: -Battery or charger. Dimensions: Overall Product Weight: -26.5 Pounds. Overall Height - Top to Bottom: -6.56 Inches. Overall Width - Side to Side: -7.62 Inches. Overall Depth - Front to Back: -5.12 Inches. 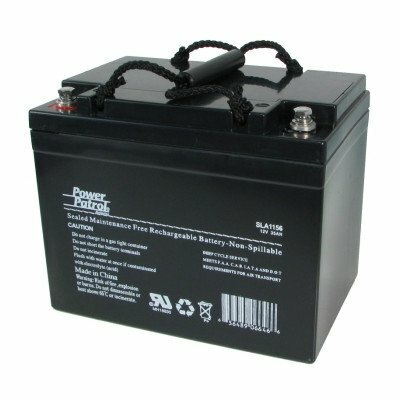 If you have any questions about this product by Interstate Battery, contact us by completing and submitting the form below. If you are looking for a specif part number, please include it with your message.